Right now, there’s no better 85-inch TV on the planet. 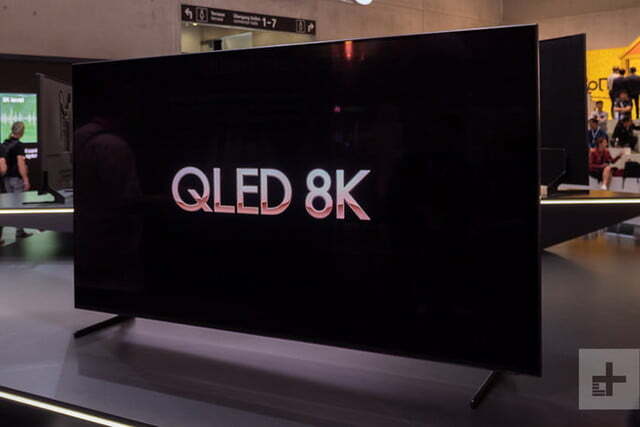 The mere mention of 8K TV confuses some and downright infuriates others. Still, Samsung is blazing a new trail as the first TV brand to offer an 8K TV you can buy. 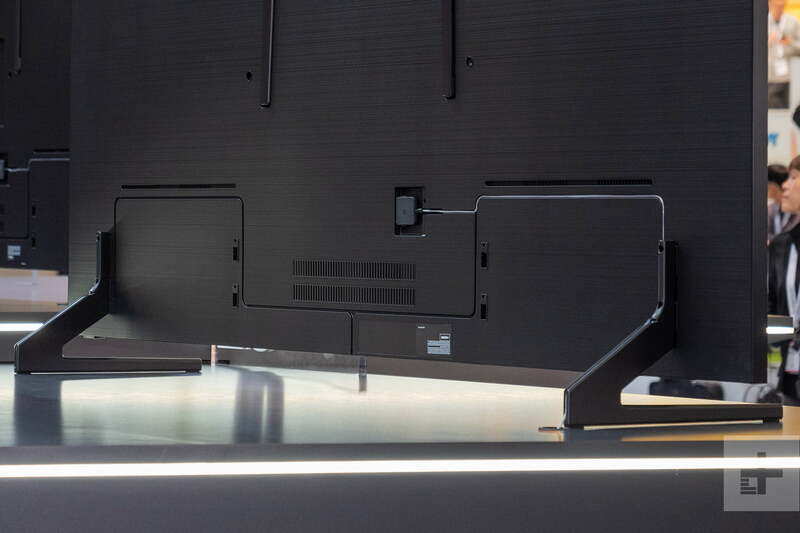 The new Q900 series TV is armed with an 85-inch screen and stamped with a $15,000 price tag. It turns out Samsung has some rational reasoning. The company flew me out to its QA Labs in New Jersey, sat me down for a couple of hours to talk 8K, then turned me loose on a Q900 prototype. Because it is a prototype, this isn’t a full review, but I did get enough time to put the TV through its paces and make some observations. More importantly, though, I walked away with an understanding of where Samsung is trying to go with this 8K monstrosity and what the company thinks the future of TV looks like. With that in mind, this hands-on report is as much about why 8K TV is a thing right now as it is about the Q900 8K TV itself. 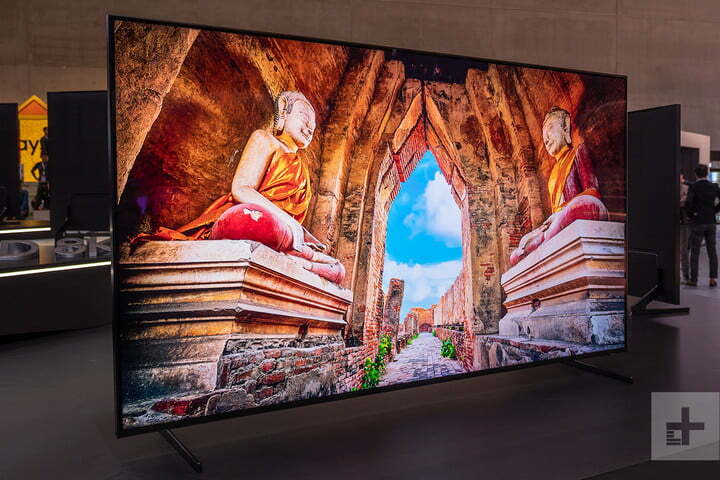 Many have debated whether the human eye can see the difference between HD and 4K at screen sizes under 65 inches, and the stakes are even higher for 8K. 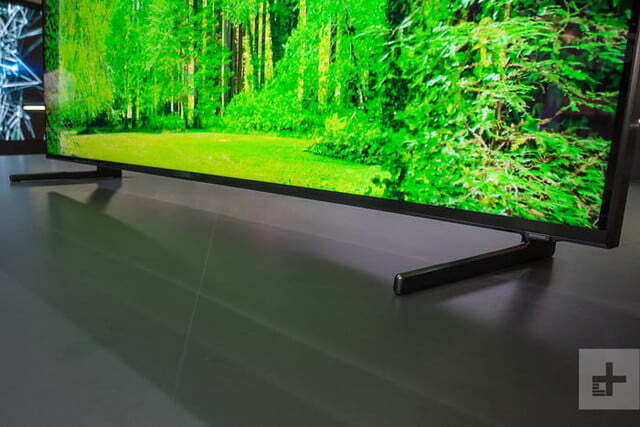 Can we really see a difference in 8K at anything less than an 85-inch screen? The Society of Motion Picture and Television Engineers (SMPTE) and NHK say we can. 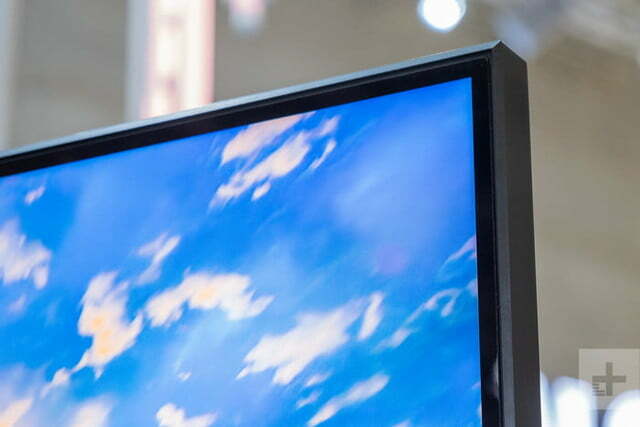 Can you really see a difference in 8K at anything less than an 85-inch screen? If you’re not familiar, NHK is a Japanese broadcaster and a huge proponent of 8K TV (they call it Super Hi-Vision in Japan). According to a report by SMPTE, 8K resolution is where TV meets the limitations of the human eye, not 4K, as many suggest. NHK backs this up with a study it conducted in which viewers looked at the same images on both a 4K and 8K TV of the same size, and at varying sizes. The images were of everyday still objects, like a vase with flowers, and the participants were asked to identify which image looked more like real life. The evidence was overwhelmingly in 8K’s favor. If you want to learn more, read this piece that dives deeper into why 8K is the inevitable future of TV. For the purposes of this review, suffice it to say that TV makers have always been well ahead of the rest of the industry. 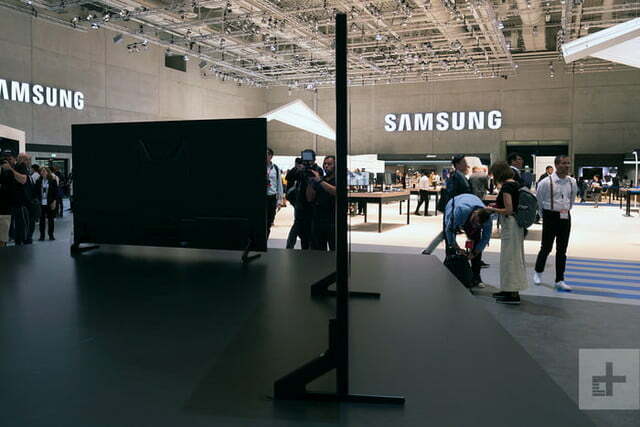 It was true in 1998 when HDTVs hit store shelves, it was true in 2012 when 4K TVs came out, and it’s true now with Samsung’s introduction of the Q900. The industry will catch up, and in five or six years, 8K content will be readily available, and we’ll have the bandwidth to stream it and affordable means to store it. Until we can access 8K content, there needs to be some sort of reason for the Q900 to exist. 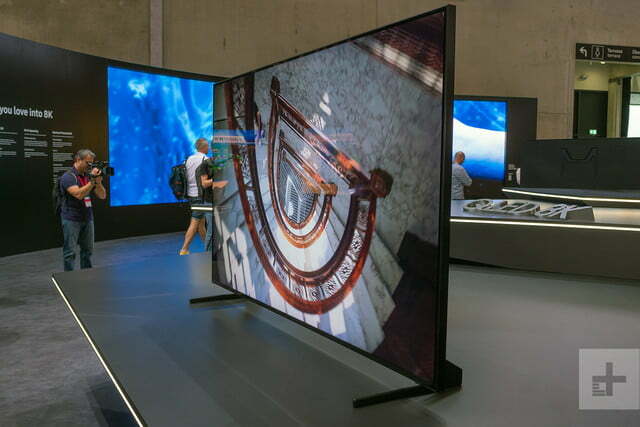 Samsung is banking on 8K upscaling. That’s where the company’s so-called 8K Quantum A.I. upscaling comes in. The chip that does the upscaling job distinguishes itself by not just being lightning fast at making complex computations, but by using artificial intelligence to change the way upscaling is performed. I’ve seen 8K native content and it is nothing short of jaw-droppingly stunning. The explanation Samsung gave me was pretty complex, but the idea is that the TV can, in real time, analyze an image, recognize individual parts of an image, and then use a database of image information to make a much more accurate and precise digital guess at how to plug in missing picture information. For instance, if the TV is trying to resolve an image of a field of green grass with a partly cloudy blue sky in the background, it knows it is resolving blades of grass and can upscale the image to 8K with a high degree of accuracy. This a pretty watered-down explanation, but you get the gist. With that in mind, I made judging the quality of Samsung’s upscaling of paramount concern. I’ve seen 8K native content and it is nothing short of jaw-droppingly stunning. But since none of us can watch that at home (yet! ), I wanted to see what Netflix, YouTube, ESPN from cable, and good-old DVD would look like compared to a comparable 4K TV. Before we get to picture quality and upscaling quality, a few words about the TV itself. 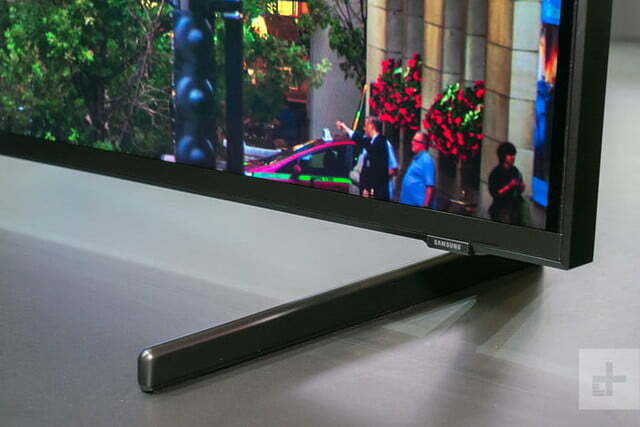 As Samsung’s flagship TV, the Q900 has almost all the features you’d get from the company’s top-tier 4K TV, the Q9FN. That includes the One Connect box, which is a bit larger than what you’ll see with other Samsung QLEDS. It includes 4 HDMI ports, and HDMI 1 is version 2.1, which means the TV will support one 8K source at up to 30fps. Its 4K support goes up to 60 FPS, but right now this TV does not support variable refresh rate at 4K. You do get VRR at 2K, though. The One Connect box links to the TV with the One Invisible fiber optic cable. It even carries power to the TV, so when you install it, a single cable is all you have to hide, and you don’t really have to hide it — it kind of disappears on its own. Around the back of the TV is a curious M-shaped pattern I’ve not seen before. This is to support Samsung’s no-gap wall mount. Because the TV is so big and heavy, it needs to anchor to two studs and be anchored to two places on the TV. 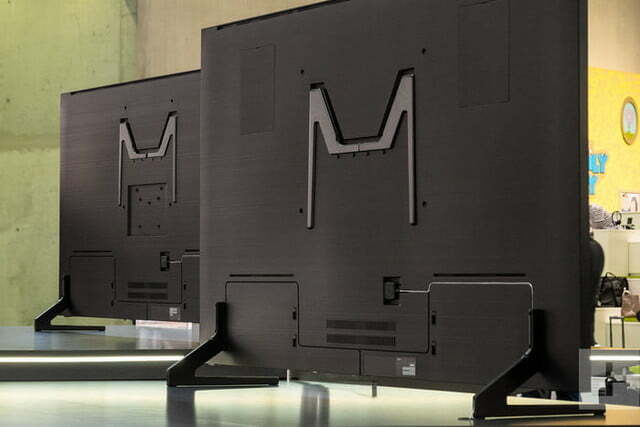 If you do not wall mount, cable management involves several channels on the back of the TV, so you never see the wire. Users can run the cable off to either side and down the channel found in one of the TV’s feet (see the accompanying video for visualization). Speaking of the feet, they are separated to the far sides of the TV, so if you are going to put this on an entertainment stand or credenza, that furniture is going to need to be seriously wide – just shy of 66 inches. The TV’s depth is just short of 1.5 inches, putting it on the thick side of the spectrum, but that’s what you need for such a serious direct LED backlight system. I’m told by Samsung, by the way, that the Q900 offers the same number of local dimming zones as the Q9FN, so about 500. Samsung told me that during its testing of the calibrated preproduction unit I evaluated, they were able to achieve a 2300 nit luminance reading with a 10 percent window, which is far more than enough to offer high-impact HDR performance – in fact, some might argue its unnecessarily bright. Once we get time with a retail sample, we’ll be able to verify that with our own measurements, but based on limited observation, we’re confident Samsung’s number is accurate. What’s more important than sheer luminance power, though, is the TV’s ability to control the local dimming and judiciously dish out that power only when necessary. After all, with great power comes great responsibility. From what I was able to observe during a day of testing, Samsung’s local dimming and HDR processing has never been better. The company learned from feedback on its Q9FN and is revealing more shadow detail while controlling blooming and offering extremely deep black levels. The bright highlights offer just the right amount of punch, with a modicum of blowout, and, perhaps most importantly, I was never blinded by spectral highlights while viewing in a dark room. In terms of sheer picture quality, the Q900 looks outstanding across the board. But, then again, I kind of expected it to. The real reason we’re here is to talk about 8K upscaling. How effective is it? Do we really need this? Let’s be honest, we don’t need 8K TV. But having seen several in action now, I certainly want one, and once the prices move toward the reasonable side of the spectrum, I’ll be getting one. But were I to put myself into the shoes of a wealthy early adopter for whom cost is no object, would I purchase this TV? Yeah, I probably would, and that’s because I am damned impressed with the Q900s upscaling ability. Let’s first address native 8K versus native 4K content. Side by side, the difference is clear on an 85-inch screen. The 8K images I viewed offered a sense of realism that the same 4K images didn’t, and I think that’s because of the higher pixel-per-inch count. You get a razor-sharp picture with little to no noise, smooth gradations, and smooth edges on curved objects. When 8K content starts becoming available, this TV is going to reproduce it beautifully, and I think people are going to be very excited by what they see. Since we’re well out from native 8K being anywhere close to commonly available – we’re just getting there now with 4K and it’s taken about six years, upscaling is crucial — and Samsung knows it. That’s why it is putting all its eggs in the 8K Quantum A.I. upscaling basket. So, does it work? Yes, it most certainly does. The 4K content upscaled to 8K on this 85-inch TV looks better than 4K content displayed natively on a comparable 82-inch Q6 4K QLED TV. In a side-by-side comparison, the detail was enhanced and less noisy. During the briefing I had before I was left alone to work my wizardry, Samsung was pointing out differences in the images to me, but I looked beyond what they were highlighting and showed them areas that I picked out with my naked eye that even they hadn’t seen before. Samsung’s upscaling quality is finally matching up with the screen sizes that need it. I’m not saying this to toot my own horn, I’m coming around to the point that I had to study the image carefully to see the differences. They are minute, but they are there. The devil is in the details, and if you focus, you see it. But my main concern was getting the sense of that clarity in aggregate – from the whole image. And after watching this TV for several hours, I have to say, yeah, it affects the viewing experience as a whole. But only just. Even more important to this evaluation was judging how the TV performed at upscaling 1080p and lossy 720P content. ESPN through your cable or satellite provider is delivered in 1080i or 720p. It’s funny, we’re talking about 8K content support when ESPN through cable isn’t even full HD. Anyway, I’m pleased to report that the Q900 does a noticeably superior job of upscaling lower-resolution content at this screen size than Samsung’s QLED TVs not equipped with the new 8K Quantum A.I. upscaling chip. Even old DVDs I had on hand were significantly cleaner and clearer, and a livestream of ESPN through Sling TV showed considerably less noise, sharper lines, and less compression artifacts. I feel this is very important. What this indicates to me is that Samsung’s upscaling quality is finally matching up with the screen sizes that need it. At 85 inches, this 8K upscaling looks way better than the 4K upscaling I’ve seen on other QLED TVs. It’s sharper, smoother, richer – it’s what you expect when watching such a big screen, but to date hasn’t been delivered. Certainly the $15,000 price tag is well out of reach for most folks, and that’s too bad. However, this is a first-generation product and Samsung has no competition – at least for the next few months. We’re not surprised to see such a lofty number, and we should point out that it is $5,000 less than the first 4K TVs at similar screen sizes. Also, as an LED/LCD TV, the Q900 doesn’t have perfect black levels and is susceptible to a little blooming. The blooming was most noticeable when we had white closed captions appearing in the lower black letterbox bars when watching movies. Off-angle viewing takes a little bit of a hit, but the Q900 has some of the best off-angle color accuracy, color saturation, and contrast we’ve seen in an LED/LCD TV. The Sony Master Series Z9F is the only TV that can compete in this regard. Overall, I think Samsung has done a tremendous job with the Q900. Its upscaling is second to none, its picture processing appears extremely impressive, and most importantly, it offers a deep and richly immersive viewing experience. Those wanting the best picture quality from a 85-inch TV need look no further. Right now, there’s no better 85-inch TV on the planet. When we talk about 8K and feel that urge to poo-poo the tech as too far ahead of its time, I think it is important to remember that the display has always led the way. With Samsung’s Q900, we’re just seeing that happen again. We’re looking at the future of TV, and it’s glorious.